Power utility Eskom and several other state entities have been caught up in graft and management scandals over recent years and repeatedly called on the state to bail them out as their debt ballooned to unsustainable levels. Former union boss and businessman Cyril Ramaphosa, who succeeded Jacob Zuma as president last month, appointed Gordhan, a two-time finance minister, as his point man to sort out the mess at six of the biggest companies. Gordhan, less than a month into his new role, has zeroed in on some of the most pressing issues facing not just the companies, but South Africa’s economy as well. Eskom, desperate to attract funding, will have new top executives by mid-April, while a sustainable solution is being sought to the financial predicament of the debt-ridden South African National Roads Agency that doesn’t burden the state, he said. 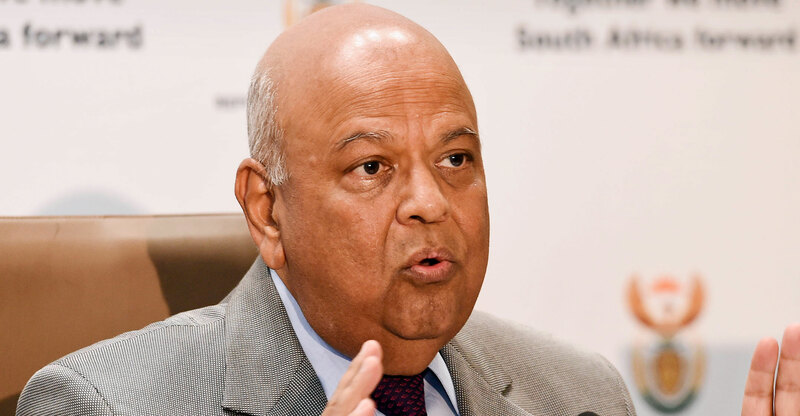 “Every day, as we do the right things, and there’ll be more of that coming in the next three to four weeks, that will signal our intent,” Gordhan said. “I think we’re on the edge of a transition.” If successful, then when state-owned companies’ debt matures, it could be refinanced, repaid or rolled over, he said. One factor that could help boost investor sentiment toward state companies is if Moody’s Investors Service refrains from downgrading the nation’s rand-denominated debt to junk on Friday, according to Gordhan. Moody’s analysts were “fairly positive” about the political changes in South Africa and had met with the president — something they’d never been able to do while Zuma was in office, he said. While the government has begun discussing with financial institutions how they can assist the state companies, no tenders have gone out thus far. Banks have previously bid for a range of contracts, including the refinancing and restructuring of debt, stake sales, advisory services, syndicated loans and the listing of bonds. The government wants to bring the state companies’ financial commitments “into some coherent form”, Gordhan said, without giving more detail. “Right now, they’re all fragmented, so you’ve got to move from fire fighting to more strategic understanding,” he said. An overhaul of the management of state companies and a move toward making them financially sustainable would further bolster business confidence, which has surged to its highest level in more than three years as a result of Zuma’s exit and Ramaphosa’s rise to power.